I've been waiting for this for so long and it's finally airing. 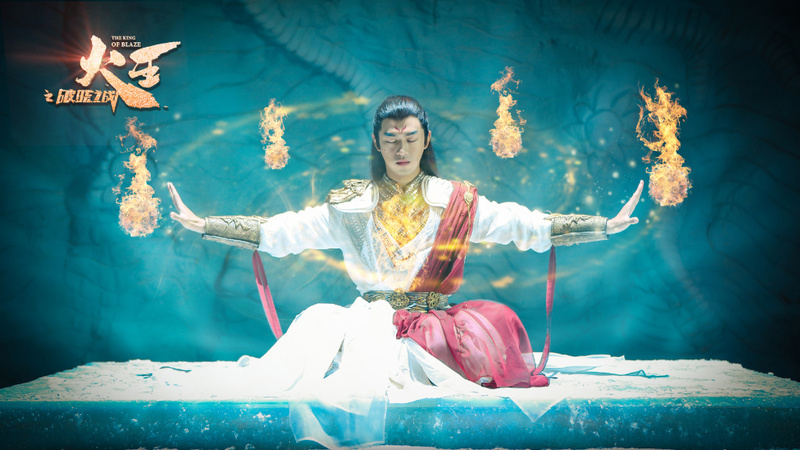 The King of Blaze 火王 premieres on November 26, taking over All Out Of Love's Monday to Thursday 10pm slot on Hunan TV. Ever since Ten Miles of Peach Blossoms, any love story with gods and lifetimes of romances instantly catch my eye, and it's paid off with Ashes of Love which easily became one of my favorites this year. It doesn't even matter that The King of Blaze is entirely different, it tells three lifetimes of romance from the realm of gods, the past to the present, and I'm already in. 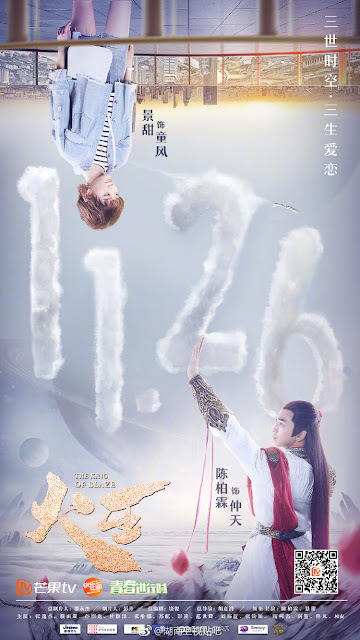 The series is split into two seasons, the first part 火王之破曉之戰 with 28 episodes takes place in the past and the second part 火王之千里同風 with 33 episodes takes place in the present. 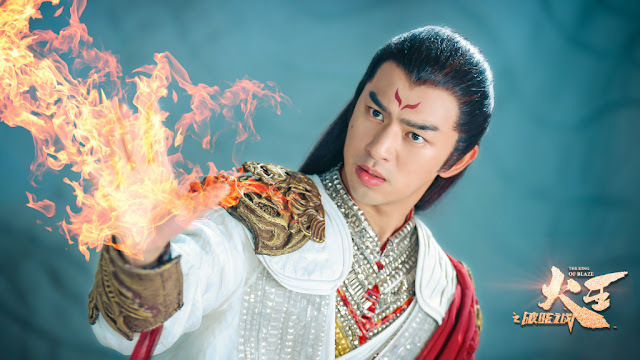 My only gripe is the recent stills of Chen Bolin (The Dreaming Man) as the titular King of Blaze which have me cringing slightly. It looks like awkward styling met bad CGI. I hope the actual drama doesn't disappoint. It also stars Jing Tian (Glory of Tang Dynasty), Zhang Yijie (Untouchable Lovers) and Lai Yumeng (The King's Avatar). 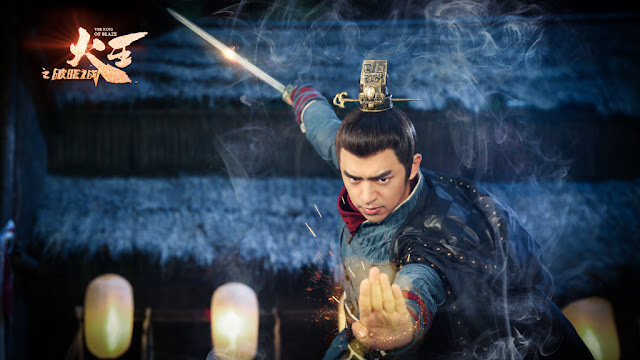 First time this forever young Chen Bolin is looking very decent and more attracting. 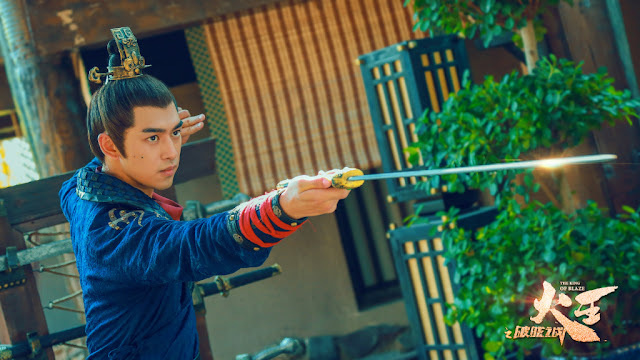 Reminds me of Deng Lun in a way but more handsome than Deng Lun.